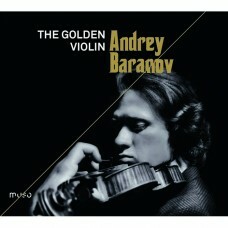 For his first solo album, Andrey Baranov explores a broad cosmopolitan repertoire of several centuries. First prize winner of the 2012 Queen Elisabeth Competition, he is inspired by these works which form the zenith of the virtuoso repertoire for violin, thanks to an irreproachable technique in the service of intense emotions. Although leading soloist, Russian violinist Andrey Baranov is also a chamber music enthusiast : he is first violin of the David Oistrakh Quartet, which he founded in 2012, he plays also frequently with his sister, the pianist Maria Baranova. The Russian repertoire takes pride of place in this recording with Rachmaninoff's famous Vocalise, as well as three large Tchaikovsky pages. In the French repertoire, two composers with similar musical discourse and ideas are on the program, including Ravel's dreaded Gypsy concert drama Rhapsody. 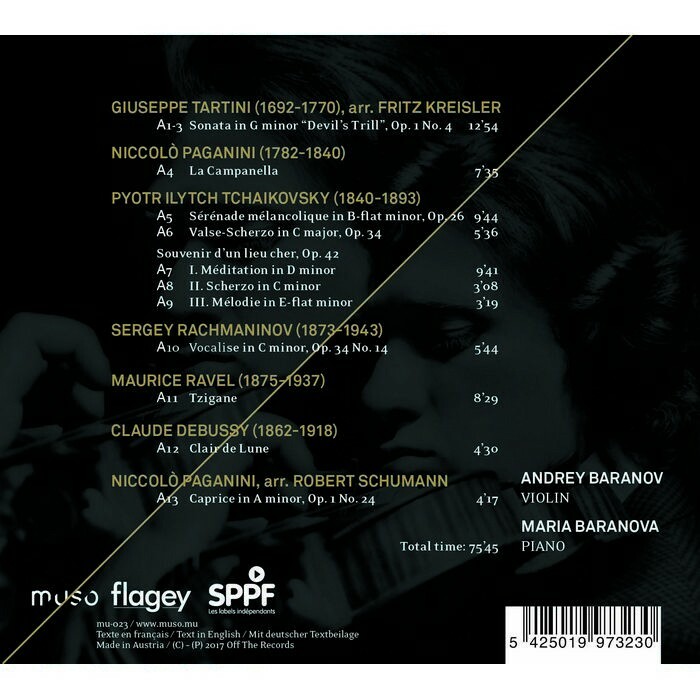 We start, however, this album in Italy with two absolute representatives of the violin virtuoso: Tartini and his perilous sonata Trill of the Devil and Paganini.